Rediff.com » Business » Active funds vs ETFs: Where should you invest? ETFs may be an option if you are considering only large-cap funds, experts tell Tinesh Bhasin. With the launch of Bharat 22 Exchange-Traded Fund (ETF), the expense ratio of ETFs has touched a new low of 0.0095 per cent. 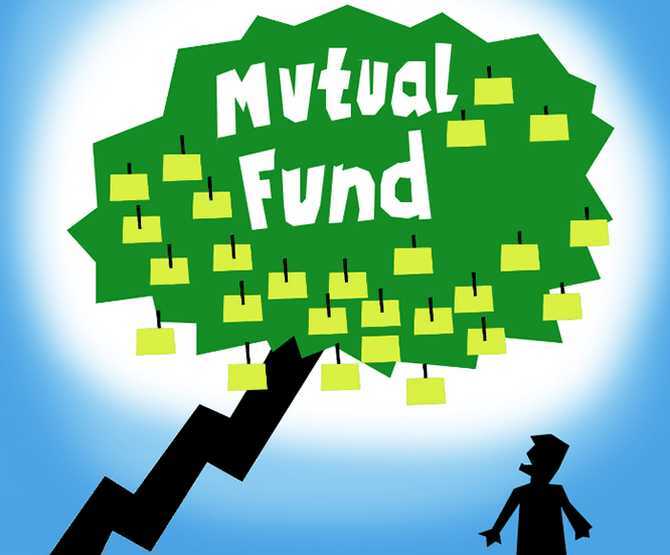 This has revived the debate on active versus passive mutual funds (MFs) and whether it's time for investors to look at such low-cost ETFs. The money that an investor saves in fees helps him in increasing returns on investments. Experts say investors would be better off sticking to active funds for now. Today there are 19 ETFs with an expense ratio of 10 basis points (bps) or less. 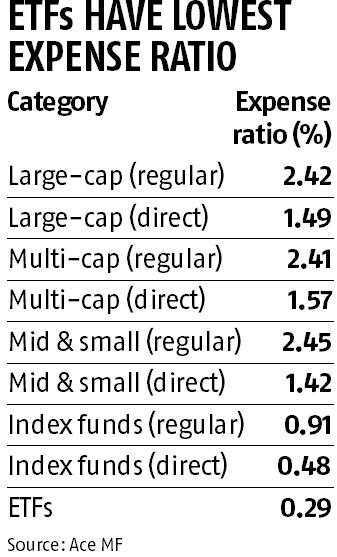 In contrast, the average expense ratio of diversified equity funds is 2.42 per cent for regular plans and 1.50 per cent for direct plans (see table). Meanwhile, the extra returns that a fund makes over its benchmark, called alpha, have been coming down in large-cap schemes. "From over eight percentage points a decade ago, large-cap funds now have an alpha of just three percentage points," says Kaustubh Belapurkar, director of fund research at Morningstar Investment Adviser India. "Investors may not have a choice but to look at low-cost products in the future. But, ETFs may still not be the best option. Realising the decline in alpha, we have reduced the expense ratio of our large-cap fund," says Radhika Gupta, chief executive officer, Edelweiss Mutual Fund. Industry players feel other fund houses will also bring down the expense ratios of their active funds for the benefit of investors. Quantum Mutual Fund, for example, has given a road map for their expense ratios. The fund house has said it would charge 1.09 per cent (after tax) for assets under management (AUM) up to Rs 2,000 crore and will keep bringing down the expense ratio as AUM grows in its large-cap fund. ETFs may appear to be low-cost based on expense ratio. But, investors also need to maintain a demat account to buy, hold and sell these funds. The annual charges for a demat account can vary from Rs 250 to Rs 750. For someone who invests Rs 1 lakh a year, this is an additional cost of 0.75 per cent. An ETF's tracking error can also hurt returns. ETFs may be an option if you are considering only large-cap funds. Mid- and small-cap funds still continue to give much higher returns compared to their benchmarks. "For investors, an actively managed mid- and small-cap fund, therefore, is still a better bet than taking exposure to them through ETFs," says Belapurkar. He feels ETFs are only good for investors for tactical investments. If an investor is expecting equities to give a higher return in the near term, he can increase the equity exposure through ETFs, instead of putting money in an actively managed fund and save on the exit load. Some believe ETFs need to be more innovative, to be more popular. "Most of the ETFs today track only the benchmark indices. These indices are not for investment purpose. They only reflect the mood of the market," says Vidya Bala, head of MF research at Fundsindia.com. Some MFs have launched innovative smart-beta ETFs. If those products establish a track record of outperforming their benchmarks, investors may look at them.